FREE High Achiever 5 Day Attraction Marketing Bootcamp. <<<=== Don’t Forget to Share, Like & Retweet. JosephDiego DiaMante Presents… High Achiever 5 day attraction marketing boot camp. Designed to bring out the high achiever in you. 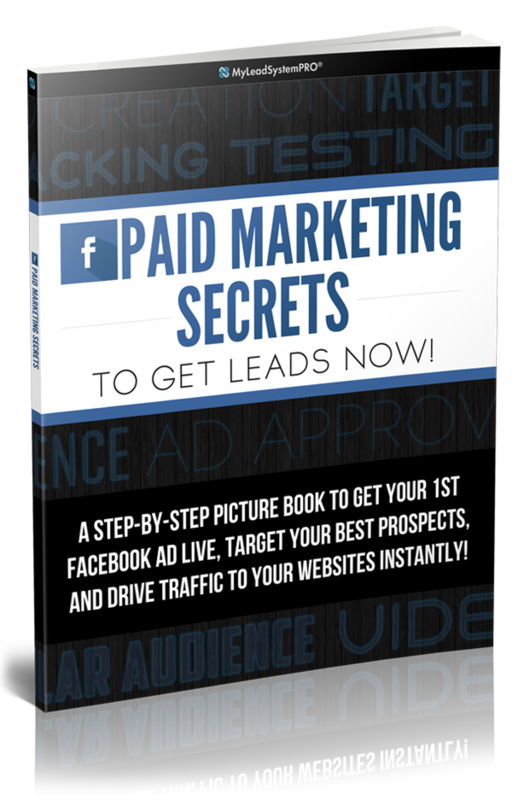 Learn the Secrets of getting over 100 high quality targeted leads every single day. Stop chasing down your family, friends and everybody that comes within your 3 foot circle. Designed to enhance the skills of the Network Marketer and improve overall results within your multi level marketing business. Learn the Internet Marketing skills necessary to become a top income earner in any company, with the high achiever skills that you will develop in this bootcamp. Here’s what you will learn in the High Achiever Attraction Marketing Bootcamp..
Not Make Any Money In Network Marketing and What You Need to Do to Get into Profit Today! And how to STOP struggling in Network Marketing..
High Achiever Day 2 – Ultimate Success Secret Revealed Find a Heavy Hitter Producing the Results YOU Want and Simply COPY Your Way to Success, how to guarantee success when failure is no longer an option for you. High Achiever Day 3 – Article Marketing Secrets Revealed A Solid Article Marketing Plan is one of the Most Powerful Best-Kept Secrets for Getting Traffic, Leads, Sales and New Sign Ups, understanding the money making magic of attraction marketing . High Achiever Day 4 – Web Traffic Secrets Revealed The Key to Getting Organic Website Traffic is to Get Your Page, Blog Post, video or Article to Rank High on Google. If You’re not building a list you’re not building a business. High Achiever Day 5 – Website Ranking Secrets Revealed The Key to Getting Your Website to Rank High on Google is to Find What Already Ranks, Why and Simply Duplicate the Model, how to completely eliminate marketing cost and create multiple profit centers for massive income. 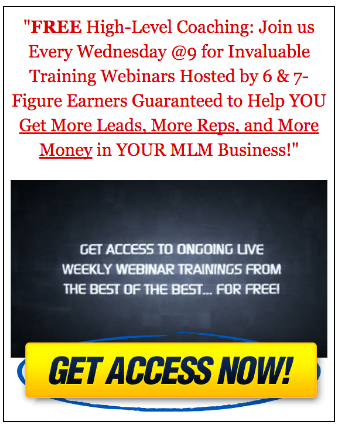 Network Marketers Into 6 & 7 Figure Earning Entrepreneurs, Learn More About One of the Worlds Greatest Online Home Business Ideas. Ever Wonder How The Top Earners Would Create Their Fortunes If They Had To Start All Over From Scratch? Watch This Video And Learn Exactly What They Would Do To Earn 5K, In 30 Days..
Top Earners In MLM. Study Them, It’s A Habit That You Won’t Regret. Top earners in MLM know it, why don’t you? And if you do know it but are asking yourself; how the heck do I do that? Read on, because this is what I about to reveal in this article. This just might be one of the most important pieces of information you will run across. So make sure that you read on, what I have to tell you will change your life as a network marketing professional and just about any other profession your getting involved in. Unfortunately so many people get involved in this profession and don’t have a clue where to begin. The reason being that they most likely enrolled under a person who doesn’t have a clue themselves. And while this is my personal opinion, and it seems to have gone viral and this is why the failure rate is so high within the profession. So many people have the potential, the desire and determination to become the top earners in MLM. On the other hand what they don’t have, is the people, support or a training system to educate them with the right skills, strategies and mindset needed to succeed in this profession. Here’s another very important fact, most people come in to this business under somebody else, who’s job is to guide them. Unfortunately most of the time that person doesn’t have a clue themselves of what to do next. The only thing that “So Called” sponsor is excited about is the fact that he or she finally signed somebody up. So what happens? The new recruit get very little or no results within the first 90 days and they just give up. Now the new recruit starts to play the blame game. First they blame it first on the sponsor, then on the company and then on the profession or the industry, all together. Now the whole industry suffers and it’s mainly because too much of this has always been going on within the MLM / Network Marketing and even in most of the Internet Marketing companies. Now, here’s a question for you. When you were in the 5th grade, did you learn from a 6th grader? Or even better yet, did you learn from high school students? No, you learned from a well paid professional who was well educated in a particular skill. Right? Then why would you want to learn from a sponsor who most likely is in the same grade level as you? We all have to learn, so why not learn from the best? And who better to learn from but the Top Earners In MLM or any profession, for that matter. Most people are scared or intimidated by the earners in MLM. the truth is that they want to help you succeed. Not only do they want you to succeed they want to be a major part of it. Because they know that it only comes back to them. This is one of the traits that you should embrace, why? Because that’s what they do, all of them. Success leaves clues, and earners in MLM just love to leave bread crumbs so that many can follow. They don’t make it difficult, as a matter of fact they go out of their way to show you what they do. Let’s not forget this is Network Marketing, it’s not something that we do alone, we are all to help one another, no matter if one of the top earners in MLM, or somebody just walking in the door. Because the one thing the top earners in MLM don’t forget, is that day that they enrolled into their first company and that long challenging climb to the top. And here’s the best part. Network Marketing, Multilevel Marketing and Direct Sales. A friend of mine put it very clearly. I wouldn’t do it any other way, this business it the greatest kind of opportunity anybody can find. Where else can an average person with very little money to invest become financially free? Don’t waste your time that stuff doesn’t work. I tried them all. They just want you to sell their products to your friends and family and once your done they don’t need you anymore, I have a closet full of their junk I never used, just collecting dust. I’m absolutely sure that these two examples say a lot about these business opportunities. In my opinion, that’s exactly what these are opportunities and just like any other opportunity you’re going to get out of it what you put into it. Network Marketing Multilevel Marketing Let’s Break it Down. Most people think that Network Marketing, Multi Level marketing and Direct sales are all the same things. But originally Network Marketing and Multi level Marketing had two very different meanings. It’s good to know the differences and the similarities. Designed to create a marketing and sales force by compensating promoters of the products. Promoters also get compensated for their sales and the sales of the promoters they recruit. Potential to build a massive down-line of distributors creating multiple levels of income. You can work Part Time or Full Time from home. You have an amazing opportunity to become finically free. Can use Multilevel Marketing Concepts, but not always. Utilizes relationship referrals and word of mouth to sell a product or service. Does not have to be like Multi Level Marketing nor does it have to include building a down-line. Successful Marketers can simply use relationships to encourage others to purchase a wide verity of products. Network Marketing, Multilevel Marketing, Here We Go. Network Marketing is mostly focused on generating sales of a product or service. Whereas Multilevel Marketing (MLM) Is more about people. However different, my personal attraction is the fact that they both can be done at home. They both can create financial freedom with little financial investment.And the other fact is that, they can be done and they can be done by you.Now what you will need is a desire, determination and consistent positive action towards achieving your goals. The harder you work towards achieving your goals, in the end your goals are going to end up working even harder for you.I’d like to make one more thing perfectly clear, network marketing multilevel marketing are both great online home business opportunities, nevertheless it’s doesn’t really matter which one you chose between network marketing or multilevel marketing.The truth is that it’s not the opportunity that’s going to make you succeed, it’s you, your hard work, your willingness to overcome every obstacles , your desire, drive and passion to take action, learn what you will need to learn and to help others to do the same, that’s what going to make “YOU” succeed. Best Year Ever for My Online Home Based Business. What an Extraordinary Year. The Best Year for My Online Home Based Business. What an Extraordinary Year. 2011 was the year that I expected it to be for my online home based business and so will 2012. What was different then in the previous years? I will attribute one big key factor that has made 2011 such a wonderful year. That was it. Attending 3 events last year. You know I always thought that going to these events were all just a bunch of hype. That they were just a way for other people and companies to make more money from me. And you know what I found out? That I was 100% right. These people are looking to make a ton of money from me, you or us. But here’s the thing, they don’t make it from the events, they make it from us and our successes. So if we make money they make money, when we succeed they succeed, we look good and become leaders guess what in it for them. Number 1. It was the year that I was able to take off my tool belt and stop commuting into Manhattan every single day making a commitment to my online home based business. I joined my primary system / business Pro Elite and attended my first event in Baltimore, Maryland. I personally met and connected with Jerry Clark, Jeffery Combs and Cedrick Harris.I started making videos today I have over 1000 videos in my files. I was shut down by Youtube or Google slapped. As you is now owned by Google. My wife Jessica and I enjoyed out grandchildren’s first birthdays, we were able to host my grandson’s birthday in our house and we had a wonderful summer, the best summer ever in our home of 13 years. I attended my second event in Phoenix, Arizona.I met and personally connected with Jay kubassek, the whole Loyal 9 Revolution team, Aaron and Spohia Rashkin, Andrew Cass, Michael Force just to mention a few leaders from Pro Elite. I started to focus on planning and time management, blogging and article marketing. I joined Toast masters. Attended my third event, with my wife this time in Orlando Florida, both my wife and I went to Disney and Universal studios for the first time, we liked it so much we purchased some property in Orlando.I met and personally connected with Norbert Orlewicz, Brian Fanale, Todd Schlomer, Todd Falcone, David Wood, Ray Higdon and his new wife Jessica, Deagon Smith, and I was even up on stage (made a fool of myself) with Tracey Walker and just so many more top leaders. I focused on staying focused, as I started to chase another shinny nickel and remembered what Todd Falcone said. We booked 12 rooms for my family cruise in 2013. My cousin James passed on at age 53. Bought both my son and daughter new used cars. I over exceeded my financial goals by 11% that I set for my online home based business to be reached by January 2012. What did I learn in 2011. First and foremost, attend events. Events are not made to take your money, they are meant to make you money. Connect and network with leaders at the events and make plenty of friends because you never know who the next leader can be. Stick primarily to one marketing strategy. Stay focused to one primary company. Stay connected with everybody you met. Invest in yourself, read, listen learn every day. Invest in training it pays for itself in the end. Free marketing is not free. This is a business and you must make financial investments to earn financial gain. Get regular medical checkups, as my cousin died suddenly of pancreatic cancer. Learn and sharpen my prospecting skills as mine are terrible as I learned on stage with Tracey Walker. Work harder on my online home based business than I did on my J.O.B. Of the iceberg. That’s right ladies and gentlemen I’ve just scratched the surface of what I’ve gained, learned and benefited from within this past year, not only for my online home based business but also for myself as an entrepreneur and a gentlemen. And why because I let go of my limiting beliefs that were holding me back from moving ahead. I put trust in those who are leaders in what I want to achieve. You see, I thought that I was in it and maybe I was but just a little part of me. Today I’m in it all the way and because of that I can honestly say that, I’m in to win 100 Percent. Work With JosephDiego: Download your FREE Blackbook Now! And Receive The Exact Blue Print The World Leader In Home Business Training & Development Uses To Turn Struggling Network Marketers Into 6 & 7 Figure Earning Entrepreneurs.